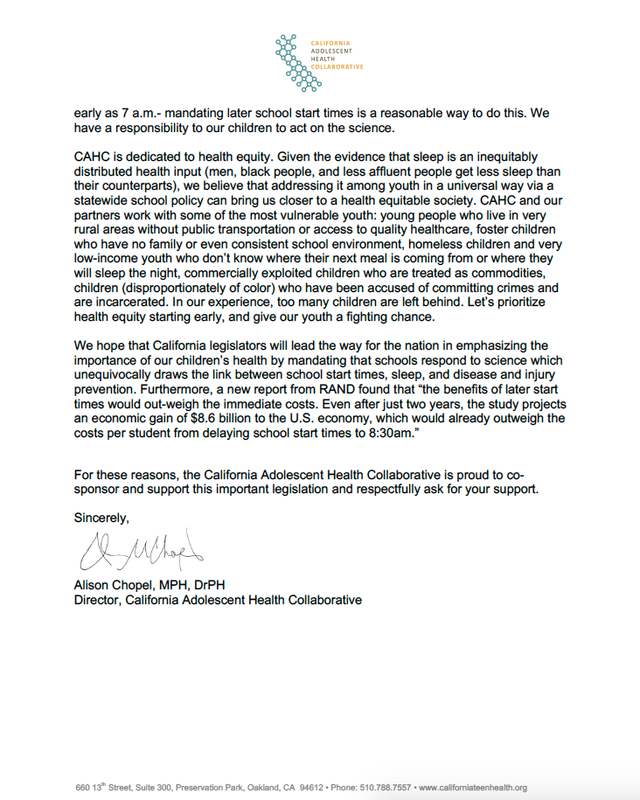 CAHC Director Dr. Alison Chopel has written to California Governor Jerry Brown in support of SB 328. Read on for her full message to Gov. Brown, and check out the publications section of our website for more from Dr. Chopel on this matter in her article titled "Sleep is Healthy: A Simple, Old Idea with Big Consequences."